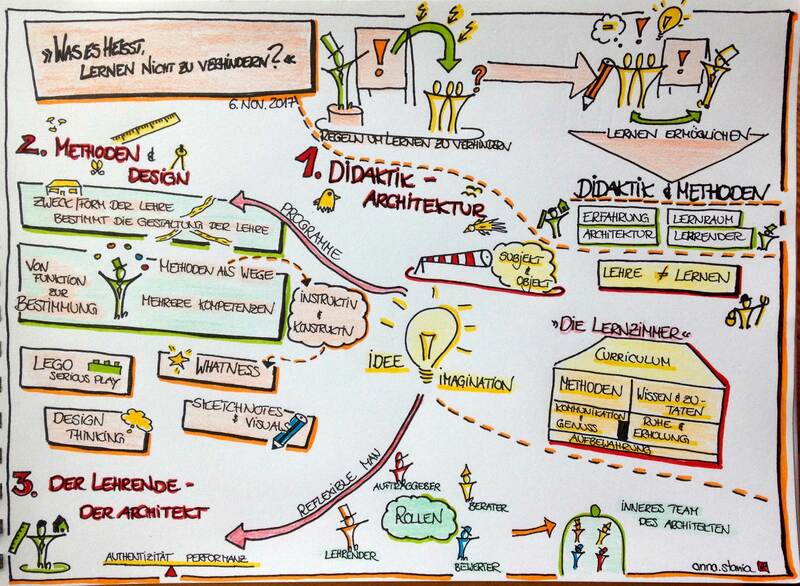 Graphic Recording means developing large scale visualizations of processes, content or talks and discussions. Complex content and processes get reduced into well framed essentials for a more easily-digestible visual overview. This makes it easier for people to remember the content, for a longer period and it also adds a some colour to your event! Visual protocols can be created in real-time, in both analog and digital formats. The focus is on the professional content, the general overview or the condensed essentials. Producing a visual protocol brings knowledge and content within easy grasp for everyone and brings an element of emotion to the learning and memorising of content. Participants go into discussions in front of the graphic, recording results and getting a more clear idea of the topics. Graphic recording can be used for various formats such as conferences, talks, Barcamps, workshops, world cafes, all-hands meetings etc. Feel free to write us a line and ask for more information!